Squigly is the last "surviving" member of the Continellos, a famous line of opera singers and long-time clients of the Medici family. Fourteen years ago, tragedy befell Squigly's family when the Medici Mafia came close to obtaining the Skull Heart. 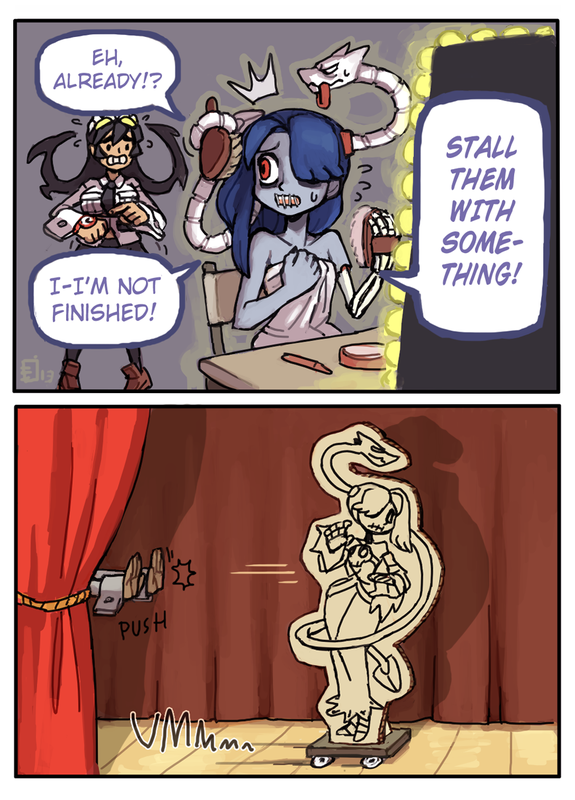 During this incident she became one of the Skullgirl's undead minions. 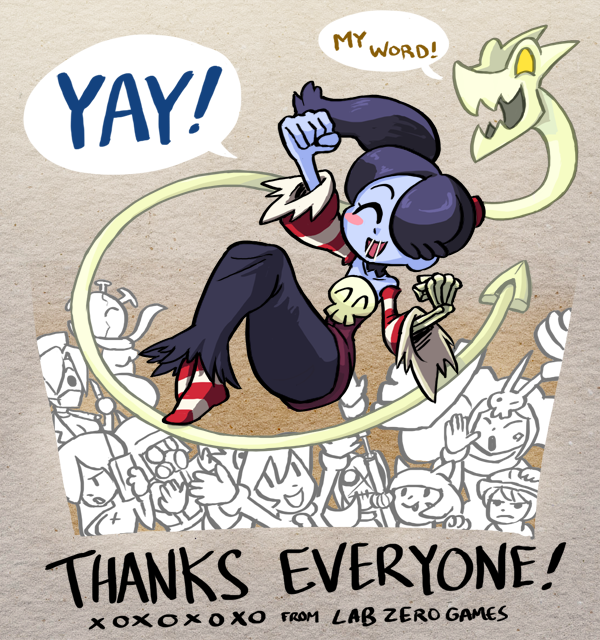 Once the threat had been defeated, only Squigly's body was recovered, and she was buried in a service provided by Lorenzo himself. 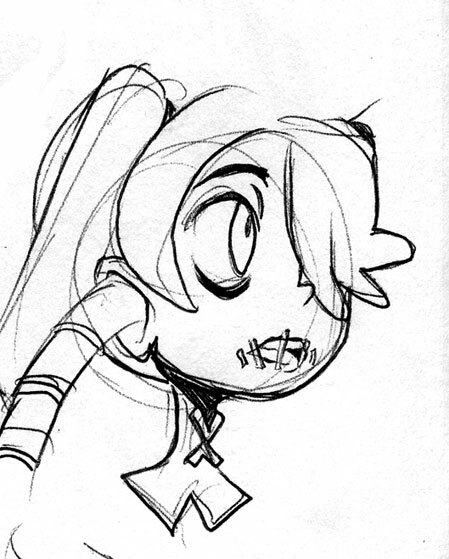 Fast forward to the present: Bloody Marie's emergence has awoken Squigly from her long sleep. 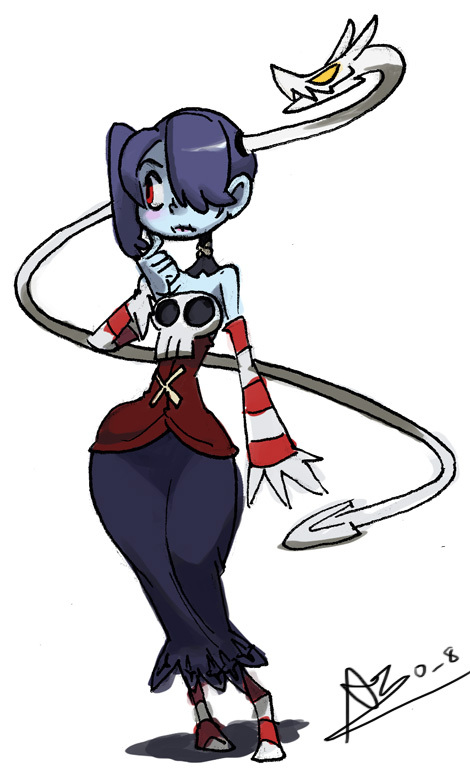 As part of the Skullgirl's undead legion, Squigly should have become nothing more than a mindless servant of the pale maiden. However, thanks to the powers of her Parasite, Leviathan, she is spared this fate. 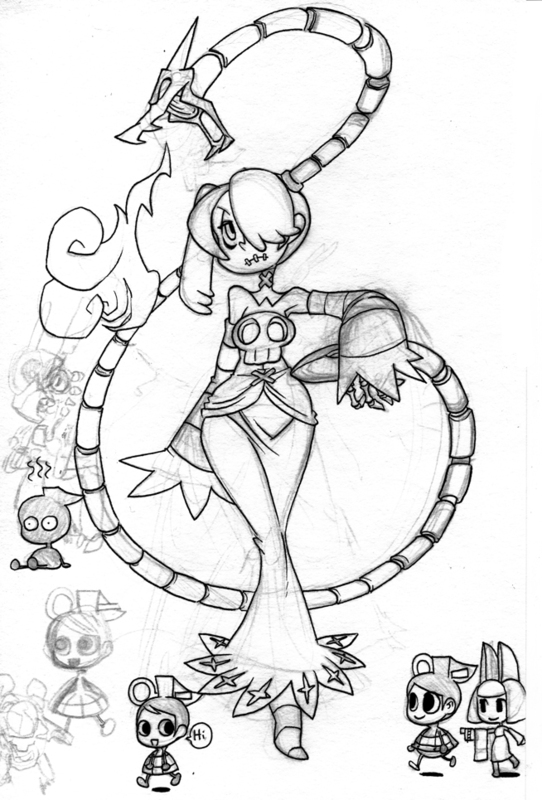 Having been passed through the Continello family for generations, Leviathan is refined and dotes on Squigly like her father and previous host did. 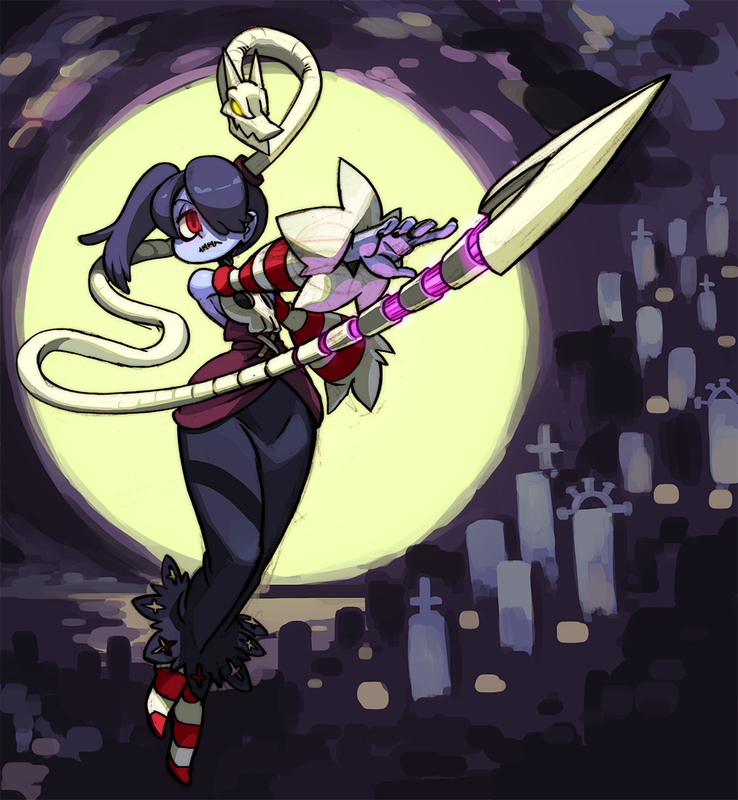 This long familial history has made Squigly's bond with Leviathan deeper and more fundamental than that of most Parasites, and allows them to work harmoniously both in and out of battle like synchronized dance partners. Their unique circumstance also seems to have given them abilities beyond this world, as well.